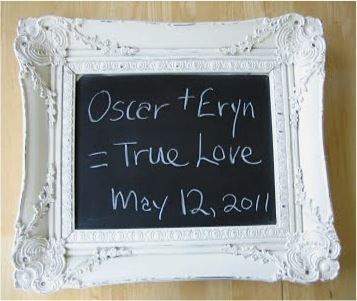 Juneberry Lane: Tutorial Tuesday: Cheap & Chic Chalkboards . . . Okay, remember when I told you we were going to be focusing on keeping things simple from now on? 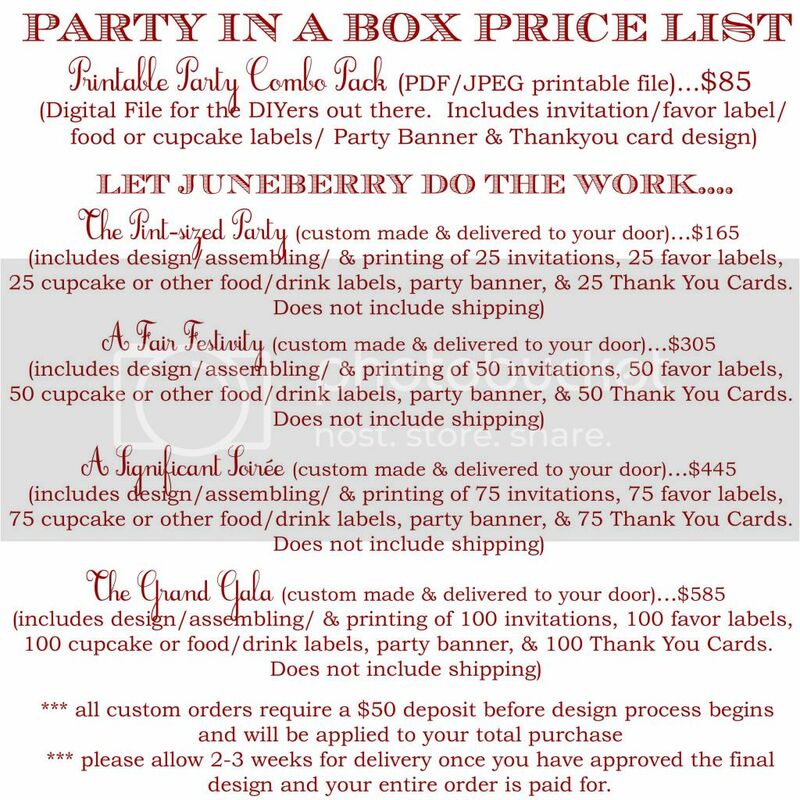 Well, I have been thinking about this quite a lot and I am super excited about the direction our little Juneberry Lane blog is going. 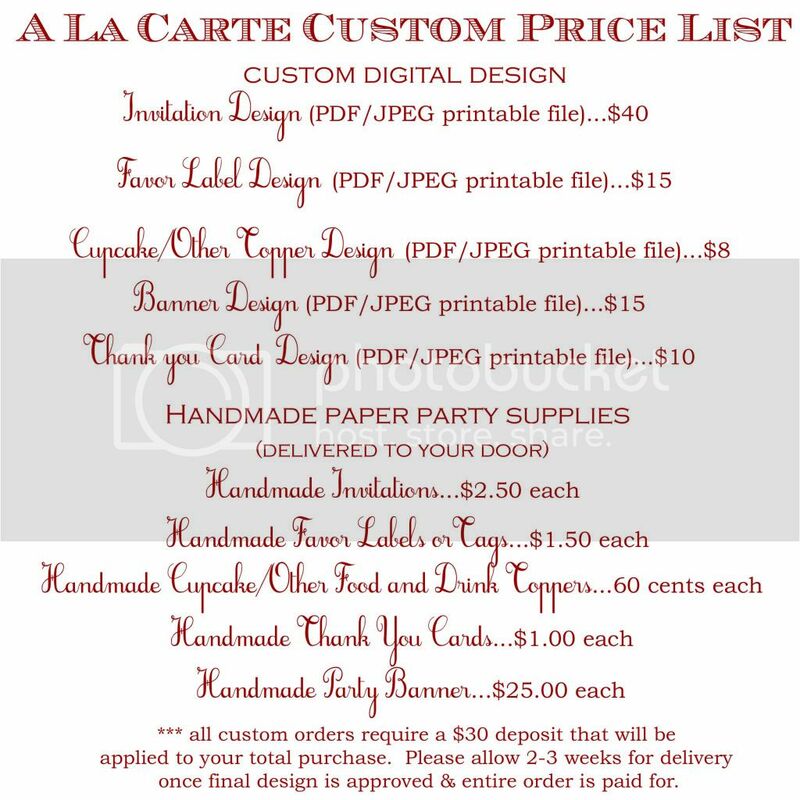 And as you grow right along with us, I truly want to make the commitment to you to keep all of our party inspiration simple and realistic, so that you cannot only feel charged up to create a party of your very own, but you can actually re-create the events and projects that we feature, even on a limited budget and with very little time!! So part of this little promise includes bringing DIY fun your way that can be used over and over again; sure you might need a different coat of paint or a tweak here and there, but if you have three little kiddos running around we hardly expect you to make three different cake pop stands, 3 different strands of tissue poms, and three wedding worthy dessert tables year in and year out...unless you want to, of course - or at least until they are old enough to help!! And today's little tutorial follows right along with the idea of being re-usable, because as you'll see below, you can use it all the way from pregnancy to birthdays to even a wedding day if it makes it that far, ha ha ha! Check it out . . .
A Before & After that'll wow you . . .
You can even use these little lovelies to announce your menu at all your future Mother's Day & Easter brunches . 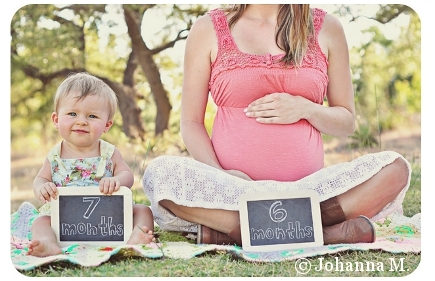 . .
And an ever-changing board of pregnancy progress can be put together in a snap!! ~ Background for the Chalkboard (you can just use the glass, if your vintage frame still has it. If not, cardboard, fiber board, or even paper stock will work. ~ Spray paint or craft paint for the frame itself, if the color isn't already up to your standard. ~ Chalkboard paint & roller: You can find this at any home goods store (like Home Depot) in canned paint or spray paint form, whichever you prefer! (1) Find a Frame | Any frame will work for this project. Choose a size that will fit the space you have to hang your chalkboard, and make sure that if the frame is missing the glass, you have a piece cut at your local hardware store. I picked up this relic at a garage sale for only a buck, because I was in love with the ornate details. (2) Add Some Color | If you aren’t in love with the color of your frame (I just wasn’t digging that rusty yellowish gold hue), coat it with an even layer of spray paint. I chose to use flat paint because a) it was what I had sitting around the house, and b) it went well with the flat texture of the chalkboard paint. 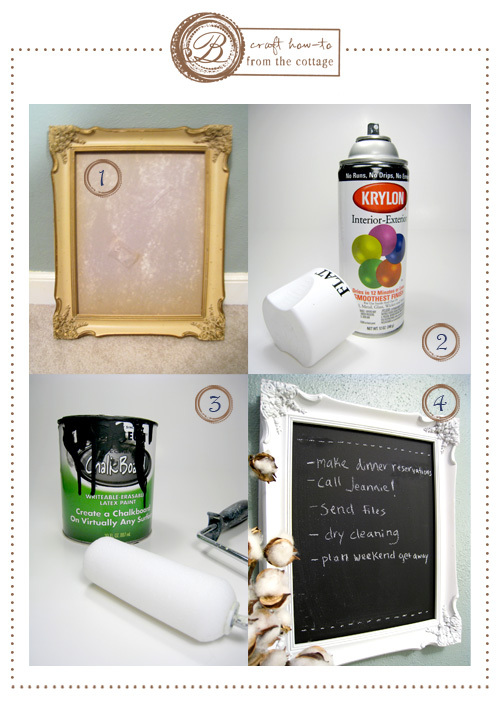 (3) Chalk it Up | Use a small foam roller to paint the piece of glass with several thick coats of chalkboard paint. I did 4 or 5 coats, and allowed plenty of drying time. 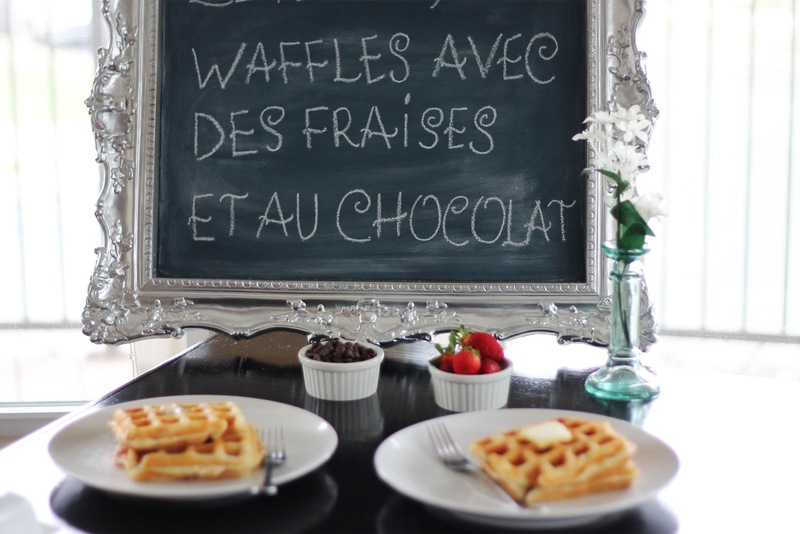 It is recommended that you wait 3 – 4 days before writing on your new chalkboard surface. Patience isn’t a strong point for me, but I survived the wait! 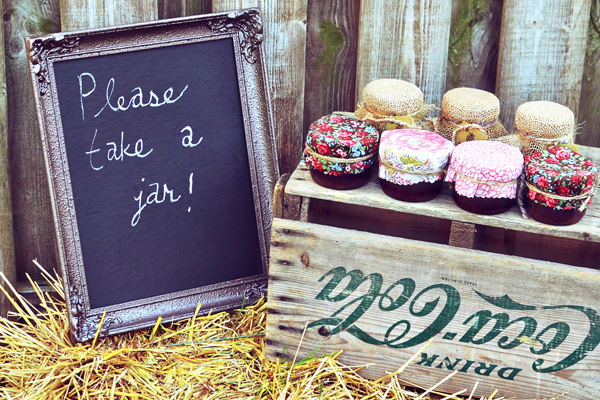 Once your chalked up glass is fully dry, place it in the frame, and use a piece of chalk to “charge it”. You will use the long flat side of the chalk to cover the entire surface, and then use a wet sponge to clean it off. Once it’s dry, your chalkboard is ready for use! 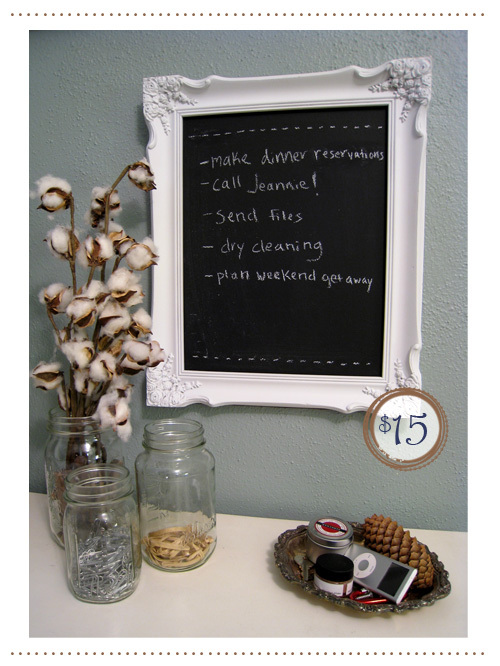 (4) Hang and Admire | Find a spot for your new chalkboard, and hang it as you would any picture frame. Scribble notes, to-do lists, or doodles, then stand back to admire your handiwork! 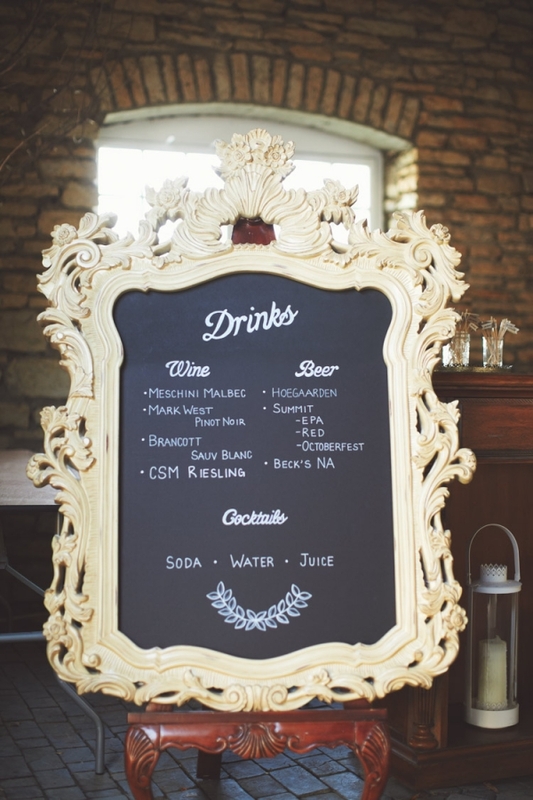 What's more, once your event is over you can find a pretty spot to hang these chalkboards on the wall and decorate them for the upcoming holidays! Not an artist? You can use your chalk and stencil in the letters or better yet, let the kids make an ever-changing, one of a kind masterpiece!! Have fun!